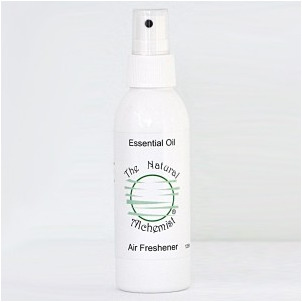 This Beautiful essential oil air freshener is unlike any other on the market, made with 100% essential oils and suitable to use in any room of your home with the knowledge that what you are spraying is all natural. See more info. You will not find any chemicals, no propellants, artificial ingredients or perfumes just 100% Essential Oils. Perfect for you and the environment! Organic clove bud and lavender combine to give you a lovely soft aroma while their anti-bacterial properties dispel germs. You need only spray a small amount for a beautiful result, gently shake the bottle then one short spray will give your Toilet / Bathroom or other rooms a clean fresh smell. Ingredients: Essential oils - Organic clove bud, Lavender oil, distilled water.